Back in the early 70’s, a nearly thirty-year old Bill Holt quit his comfortable but uninspiring job, holed himself up with recently found and purchased musical gear and set out to realize his dream of becoming a musician. 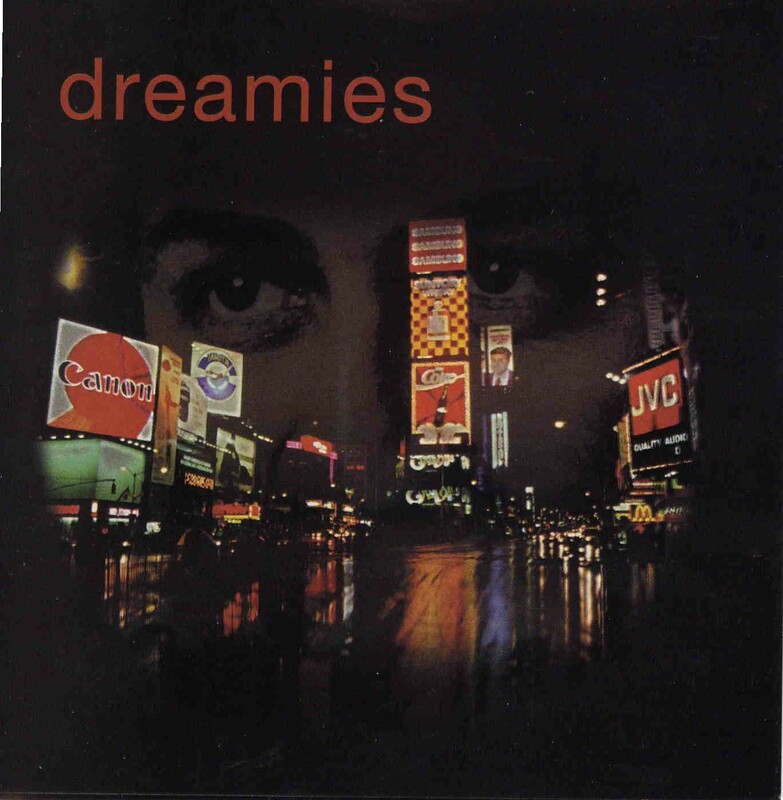 The result was the 1973 album Dreamies, a groundbreaking album that picked up where the Beatles’ Revolution 9 left off. Inspired by the tumultuous times of the 60’s in America, the Vietnam War, the youth culture revolution and other current events, Bill Holt created a landscape of sound bytes from the news arranged in an expansive collage, layered with his strumming acoustic guitar and experimental electronic sounds. It was an astonishing achievement, but failed to find an audience at the time. Reluctantly, one supposes, Holt put his music aside and returned to his job in order to support his family. Over 30 years later, perhaps inspired by the resurgence of interest from a new generation in Dreamies album, and no doubt inspired by the equally tumultuous times in the post 9/11 age of America, Bill Holt returned to the studio to create a follow up album. The result is Dreamies: Program 12. Juxtaposing sound clips from post 9/11 news broadcasts, George W. Bush speeches and interviews, modern technology and old cowboy movies, Holt weaves a stunning soundscape just as relevant to today as the original Dreamies was to its own time. He’s set aside his acoustic guitar to focus more on the use of synthesizers, but at its heart, the album is still rooted in the musical sounds of 60’s psychedelic pop. But it’s all given a distinctly modern edge with the pulsing electronic sounds and Bill Holt’s gravely, often sarcastic voice. Some of the pieces, like the darkly humorous Move Your Zucchini are made up entirely of sound collage (the title refers to an automatic grocery store checkout machine that keeps telling the user to “move your zucchini”), but most of the tracks are songs that utilize the sound collage beneath to dramatically accentuate the meaning of the lyrics. It’s particularly effective in the chilling Are You a Friend? which juxtaposes the title question with clips concerning terrorism, and the reaction to Muslim culture in the US. Holt displays a bleak sense of humor in the seemingly jovial Anarchy until you listen closer to the lyrics, and as you hear the sounds of Fourth of July fireworks morph into the sounds of gunfire in the Iraq war. The humor gets blacker as Holt seems to compare the Bush administration and the westernization of the Middle East to the cowboys of the past and the destructiveness of American expansion in the old west in a dark cover version of the classic chestnut Home On the Range, which utilizes the seldom heard second verse of the song (written in 1872) that speaks of pressing out the “Red Man” from the land. Suffice to say, Bill Holt is back with a vengeance, cutting across the modern American landscape with acerbic wit, intelligence and deeply creative sounds. Dreamies: Program Twelve is a worthy successor to his original classic and should be heard by everyone.